In case you haven’t heard of NaNoWriMo, it stands for National Novel Writing Month and is an international event that encourages people to write 50,000 words of a novel during the month of November. Whether you’re a NaNo veteran, a NaNo newbie, or still undecided about participating, here are twelve books to get you through NaNoWriMo this year. 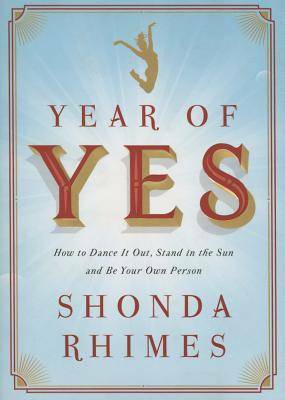 Year of Yes: How to Dance It Out, Stand In the Sun and Be Your Own Person by Shonda Rhimes—Often, the biggest barrier to writing a novel is an oppressive feeling of self-doubt: Are you even capable of writing a novel? What if you fail? The world doesn’t need your book. Take a cue from Shonda and say “yes” to something that scares you. No Plot, No Problem: A Low-stress, High-velocity Guide to Writing a Novel in 30 Days by Chris Baty—This one is by the founder of NaNoWriMo and is a kickstart guide. It offers tips and advice from published authors, as well as a week-by-week guide. This Year You Write Your Novel by Walter Mosley—Legend Walter Mosley’s book is full of both inspiration and instruction. It explains how to create a daily writing regimen (and stick with it), finding your narrative voice, and how to get into the heart of a story. At-Home Workshop: Idea to Novel in 31 Days by Janice Hardy—Okay, so I cheated a bit, because this one is not a book, though the author has written many of them. It’s an incredibly helpful blog series of one post per day in October with a mini lesson and mini task meant to get you ready for that mad dash. Writing Tools: 55 Essential Strategies for Every Writer by Roy Peter Clark—This book “has become a classic guidebook for novices and experts alike and remains one of the best loved books on writing available.” After introducing each concept, real examples from journalism and literature are used to drive the point home. 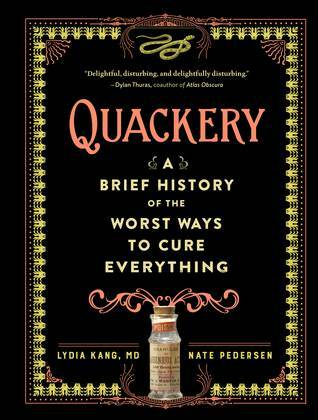 Quackery: A Brief History of the Worst Ways to Cure Everything by Lydia Kang and Nate Pedersen—In case you’re writing historical, this is a great reference guide for terrible cures that have been practiced in the past. Kang is an author of fiction as well as a medical doctor. Body Trauma: A Writer’s Guide to Wounds and Injuries by David W. Page—I don’t even know how many times I’ve asked myself questions like, “How long would it take to bleed to death if xyz happened?” Have this book on hand to answer those questions real quick so you can get back to the writing! Self-Editing for Fiction Writers by Renni Browne and Dave King—Once NaNo is over—take a break. Then you still have a lot of work to do if you want to turn that promising manuscript into a published novel. 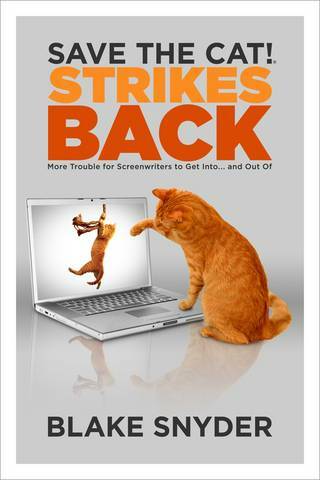 The book is filled with techniques and processes from two professional editors. Will you be participating in NaNoWriMo this year? Have any particular books helped you? Share them in the comments! And find me on the NaNo site; I’m GatorSarah.